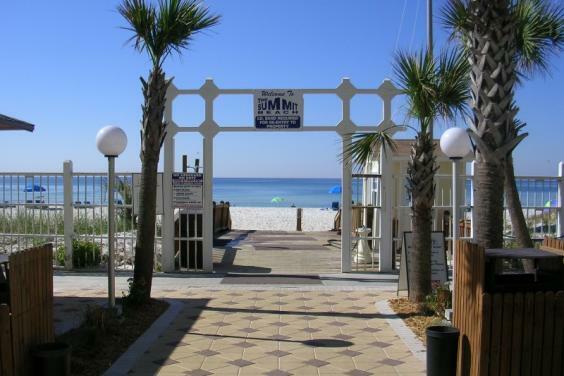 Summit Beach Resort by Resort Collection is nestled among the pristine beaches of the Gulf of Mexico. Every spacious one, two, three or four bedroom unit offers a spectacular view of the crystal blue and emerald water as it laps the white sandy beaches. 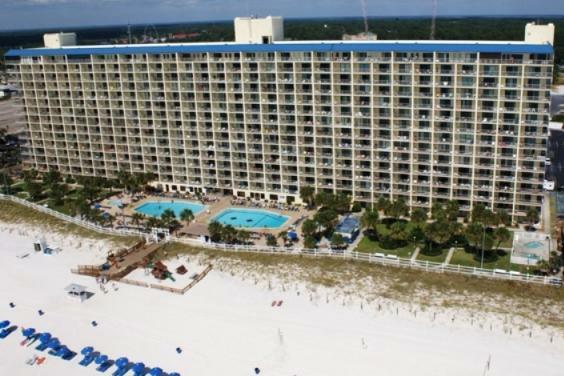 All of our uniquely designed units overlook the beach front pool deck with two large swimming pools, two kiddie pools and two outdoor hot tubs surrounded by lounge chairs and umbrella picnic tables. 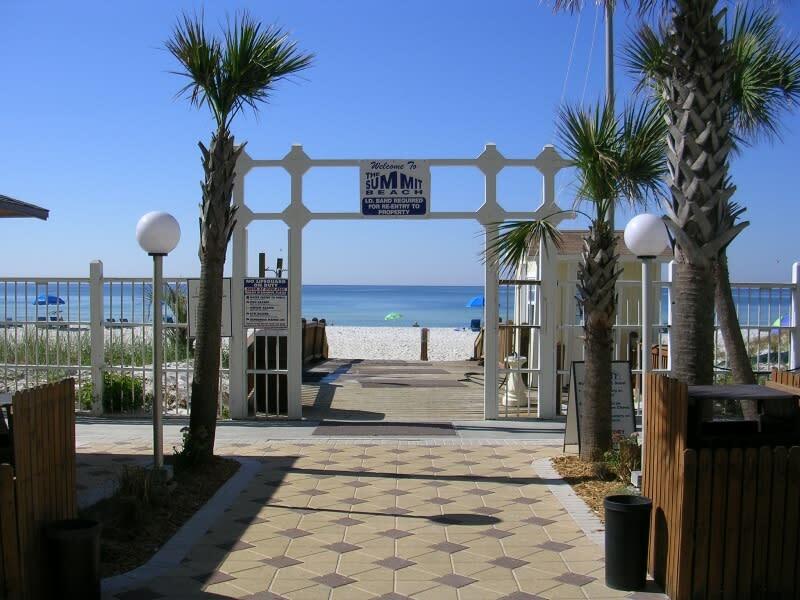 In addition, guests are able to enjoy our resort amenities such as tennis courts, outdoor shuffle board, and a fitness center with a dry sauna and indoor spa. 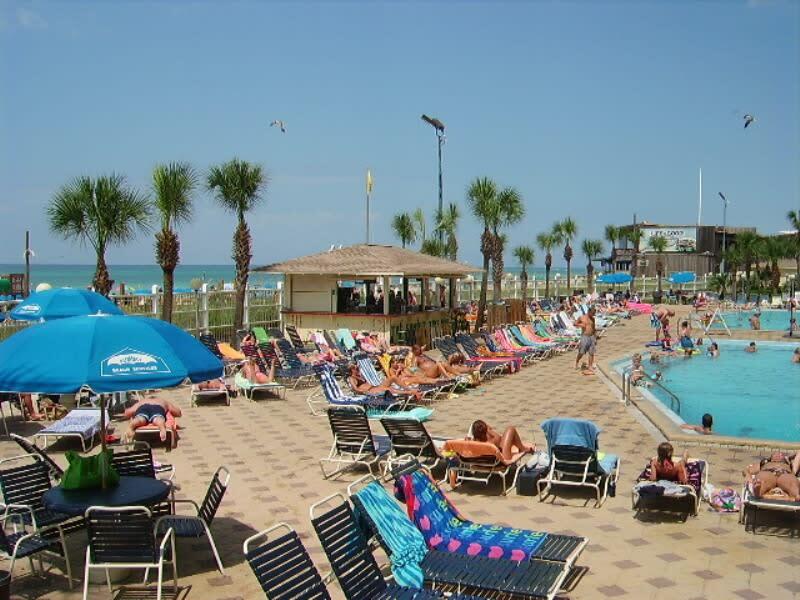 Fresh frozen drinks and cold beverages are never in short supply from the Tiki Bar located on the pool deck. 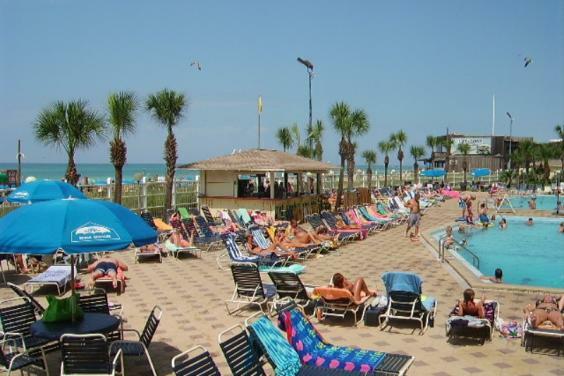 Whether you want to enjoy the convenience of our onsite restaurant, Bikini Bob’s, find snacks, beverages and beach supplies at the Summit Gift Shop or utilize the barbeque pits located on either side of the property, you will find there is no need to ever leave the comfort of the Summit. Our individually designed one bedroom unit offers all the comforts of home without any of the bother. The spacious layout features a master bedroom with a private vanity and bathroom entrance as well as two twin bunks with a guest half bathroom. 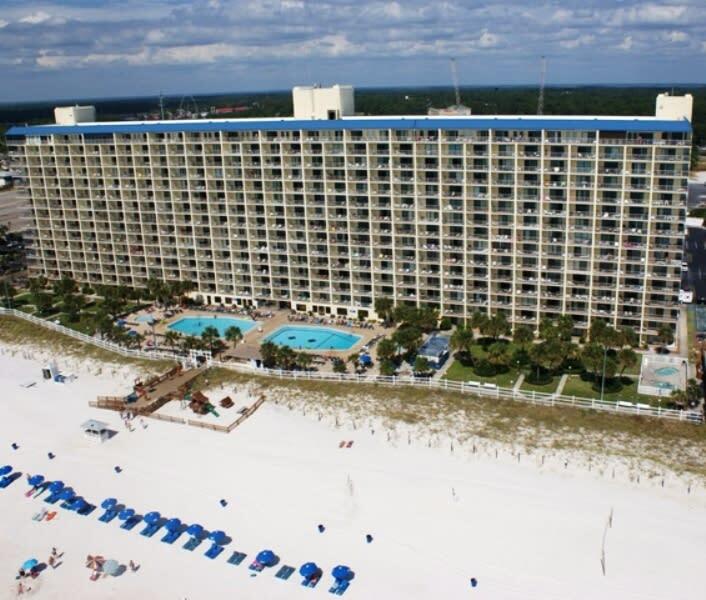 The unique floor plan is accommodating to both families on a fun packed vacation or couples getting away for a beach retreat. The spectacular gulf views offered from every balcony are easily accessed and enjoyed from the living room, fully equipped kitchen and dining area. Every uniquely designed unit comes with complimentary access to both pools and hot tubs located on the beach front pool deck as well as the fitness room and dry sauna.